It is hard to believe it but 2015 is over and a brand new year lies ahead. Take to the Road has got a great line up of classic car films planned for 2016 and we can’t wait to share them with you. But first lets look back at our first year, 2015. We launched Take to the Road back in January last year and we are delighted with the progress we have made on our website and YouTube Channel. It’s been a lot of hard work but the effort is starting to pay off and we wouldn’t be where we are now without the support of our fans! Thank you! So we’ve made a short film to look back on our first year. 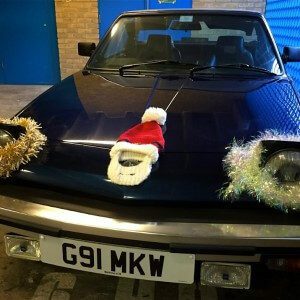 We take a look at the films we made and the fantastic classic cars we got to spend time with and drive. We hope you like it. For us it is a great trip down memory lane! The highlight was filming the brilliant VW Beetle that we dubbed the Sleeper Beetle. Now this one seems to have caused a bit of a stir. Mainly because some petrolheads do not agree that this custom Beetle is a Sleeper. What do you think? This is one of the coolest classic VW Beetle’s in the UK! Other highlights from 2015 was of course our very first feature film with Barry and his super cool Volvo P1800s. We absolutely loved Barry’s Volvo. It is in remarkable condition and he has devoted a lot of time to this wonderful classic. It was a lot of fun filming with him. And we couldn’t write this piece and not mention Colin and his beautiful Alfa Romeo 1750 Spider Veloce. This is one of our dream cars and Colin has a superb example of one of the prettiest convertibles ever designed. It is a work of art on wheels! Also we just want to say a big thank you to all our followers and subscribers. It was great having you on board and we look forward to the rest of 2016. And remember, Just Go Drive! 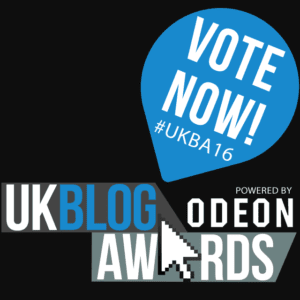 Vote for Take to the Road in the 2016 UK Blog Awards!